Learn more about dementia, how you could reduce your risk of it, and make a Dementia Commitment to help to build a dementia-friendly New Zealand by taking our short online course. Developed by Professor Graham Stokes, Bupa’s Global Director of Dementia Care, Dementia Commitment is free, interactive and only takes around 20 minutes. 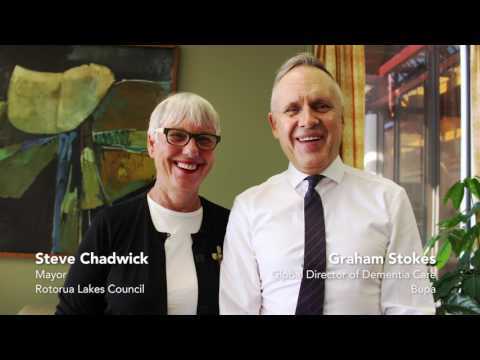 Take 20 minutes to learn more about dementia, and make a commitment to help to build a dementia-friendly New Zealand.